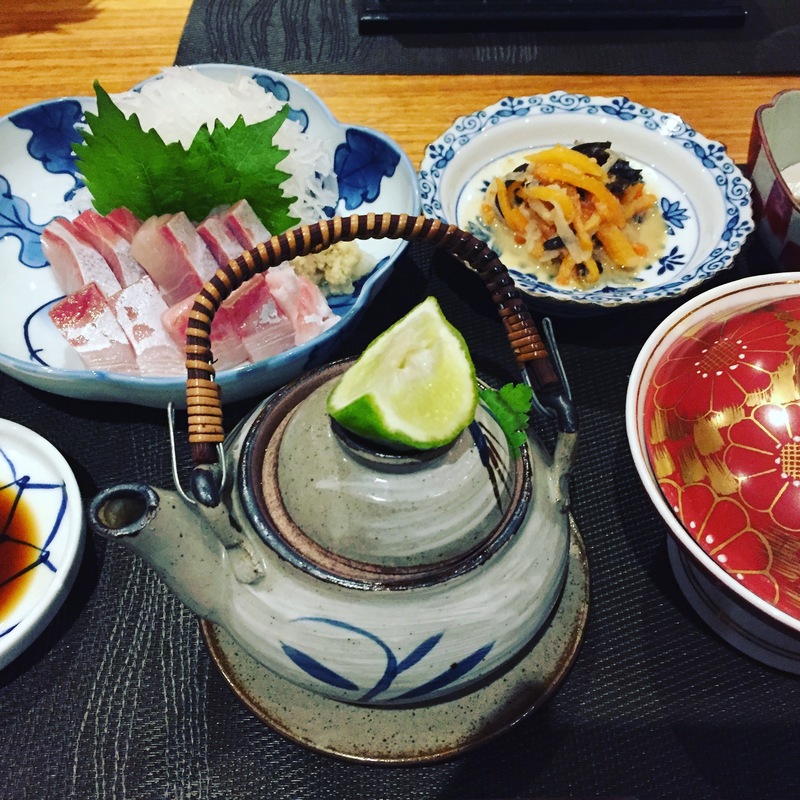 Dashi, or bonito stock is the basis of all Japanese cooking. Of course, instant powdered or liquid alternatives exist, but they often contain MSG, and taste instant. Use them if you must, but Kei would rather not know about it. If you don’t have kombu, just use bonito flakes. Lightly wipe clean kombu, then soak in 3 litres of cold water overnight. Take out expanded kombu in the morning, and bring that water to boil. When bubbling, place bonito shavings into the water, and turn off the heat straight away. Allow the shavings to sink a little, and strain through cloth. To cook or not to cook the kombu? Some dashi recipes, including in good Japanese cookbooks, like Harumi’s Japanese Cooking (by Harumi Kurihara) and Practical Japanese Cooking (by Shizuo Tsuji and Koichiro Hata), suggest warming the kombu in water, which you can do if you are in a hurry and can’t soak the kombu overnight. However, you MUST remove the kombu before the water boils, otherwise you’ll end up with bitter dashi. Dashi keeps for a few days in the fridge, maybe 3 depending on the weather and how frequently your fridge is opened. Or you can make a lot of dashi and freeze it, perhaps as ice cubes. You might only want a little to make miso soup, but by thawing a few dashi cubes, you can still have ‘real’ dashi and not have to resort to instant powders. I don’t eat fish. What can I use instead of bonito flakes? In shojin ryori or vegan cooking, just kombu is used. Soak kombu in cold water for about 8-10 hours. Keeps for 3-5 days in the fridge. 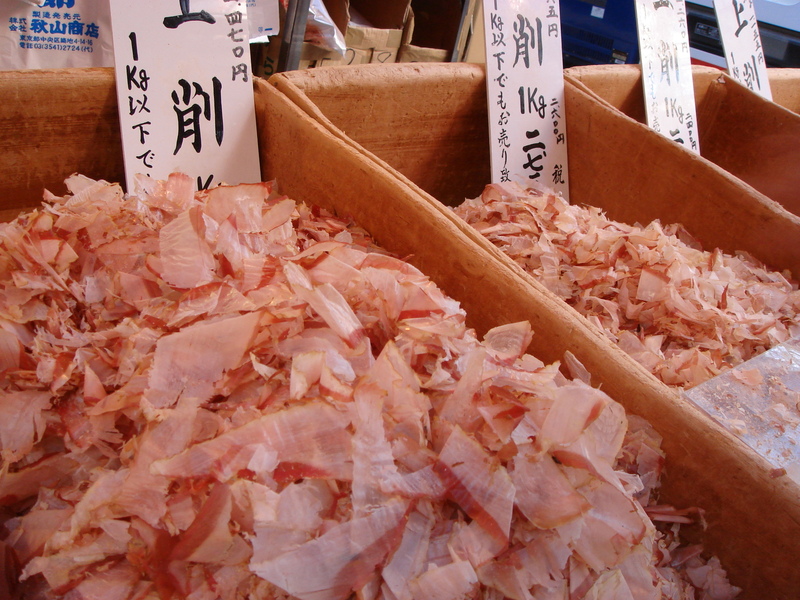 Can I re-use the kombu or the bonito flakes? If you want to recycle the kombu, you can simmer in a little sake, mirin and soy sauce on high heat until the kombu becomes tender. Slice finely and keep in the fridge, and eat as a snack, on salad or with rice. It is very nutritious with lots of fibre. But just beware that kombu is high in iodine, so people with thyroid issues may need to consult a medical professional. Bonito is a kind of fish with silvery shiny skin, much like mackerel. To make bonito flakes, the fish is filleted, dried and smoked and mould cured so that it ends up like a black piece of old wood, or perhaps an old shoe. Doesn’t smell like an old shoe though. To shave, a kind of planer is used. Nowadays, most bonito comes in shavings in a packet, but you can still buy the old shoe like version in markets in Japan.